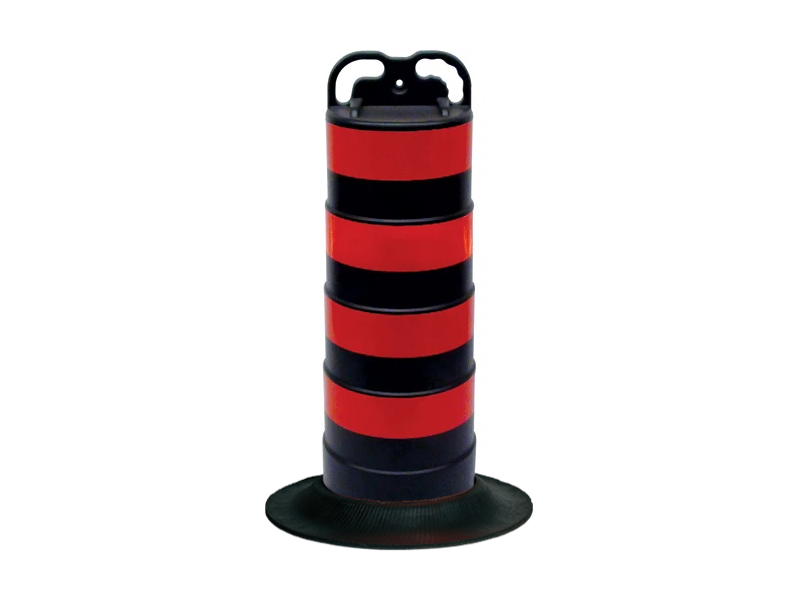 The Trail Guide Traffic safety Channelizer drum’s revolutionary Stepped sides prevent sticking when stacked providing for a faster initial set up. The EZ grab handle makes it easier to transport and store. 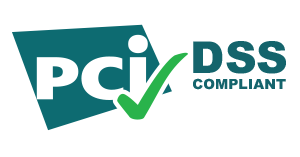 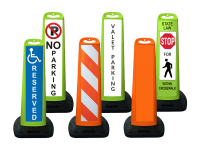 Provides high visibility target value within a smaller space. 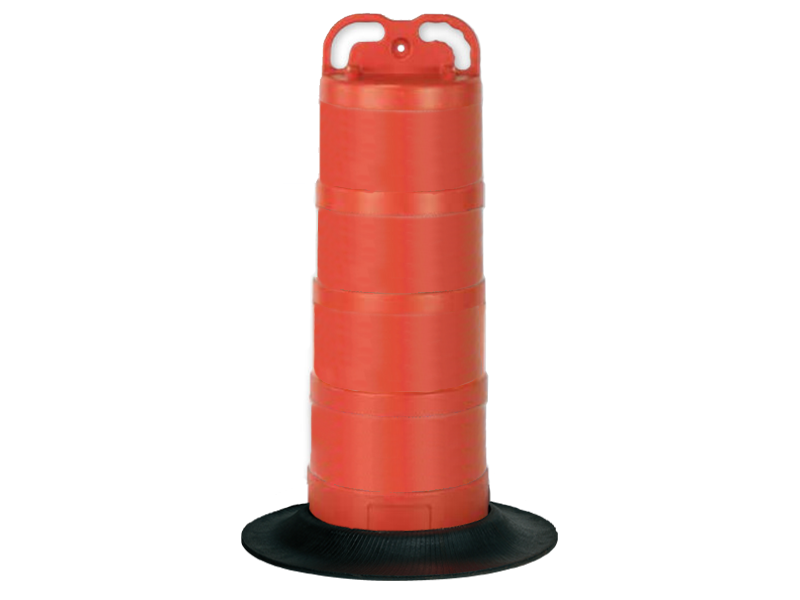 Handle has center mount light bolt hole for streamlined delineation. 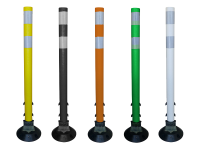 Available with Hi-Intensity or Fluorescent prismatic reflective sheeting in 4″ or 6″ configurations. 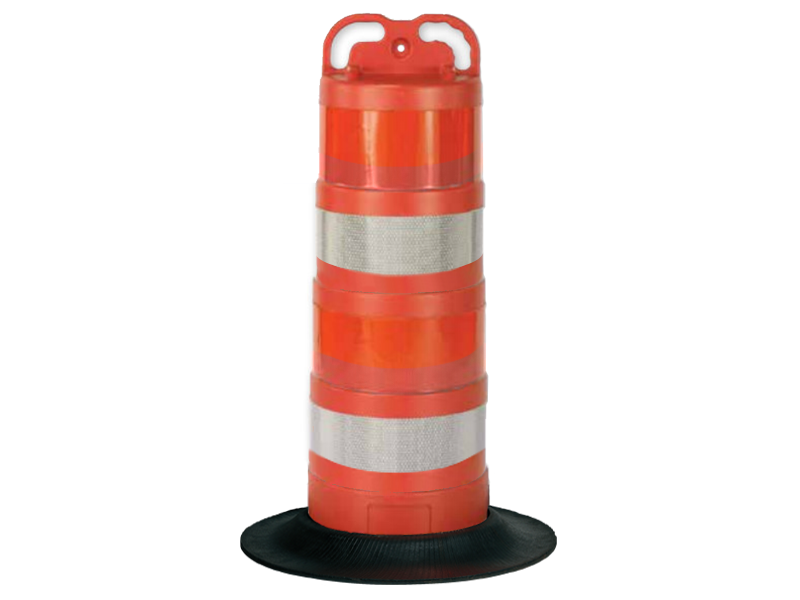 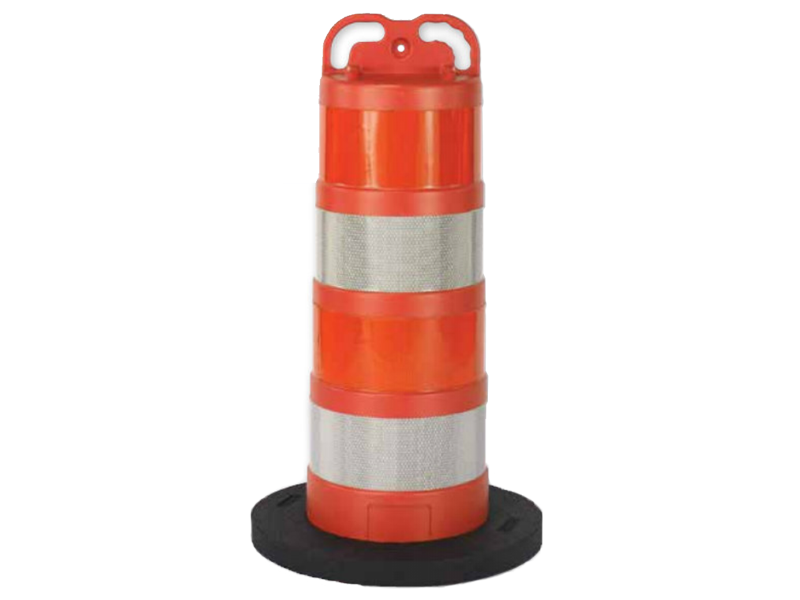 44.12″ Height 13″ diameter at top tier, 16.5″ diameter at bottom shoulder. EZ grab Handle design makes moving and stacking a breeze. 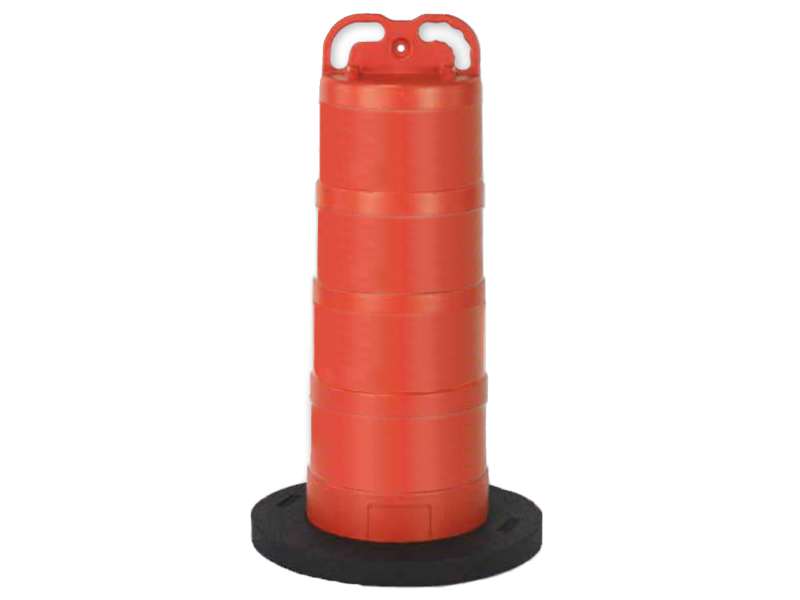 Built to withstand repeated impacts and temperature extremes. 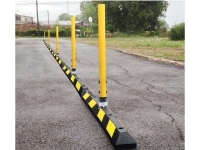 new low profile design takes up less warehouse, truck and road surface space. 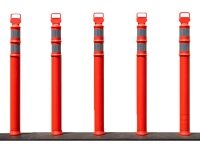 Handle has built in holder for traffic control batons.